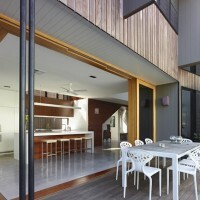 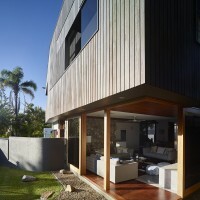 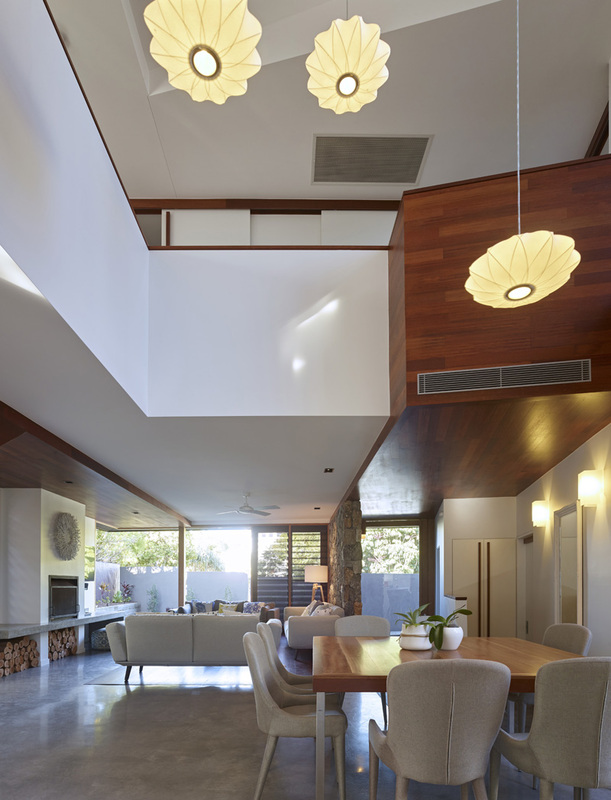 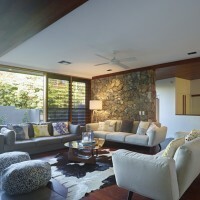 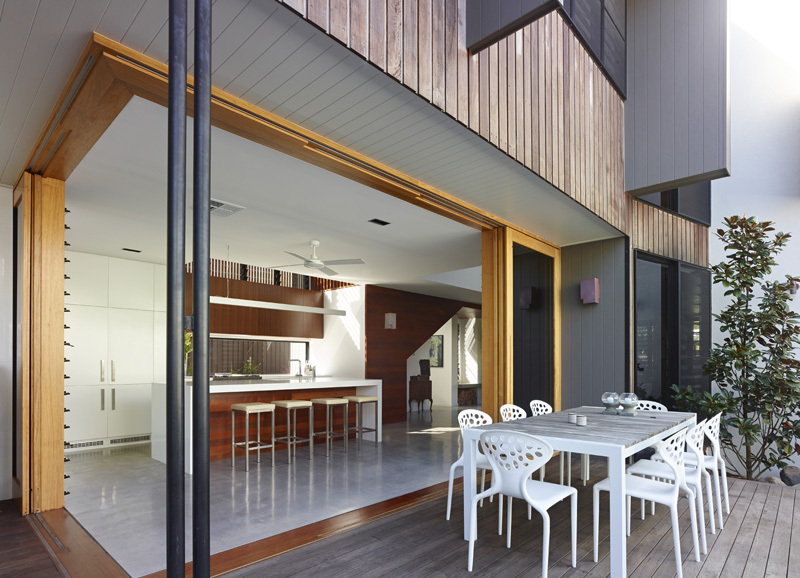 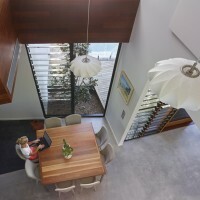 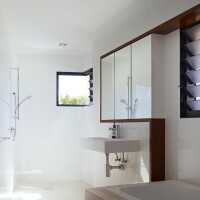 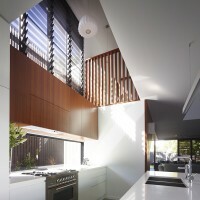 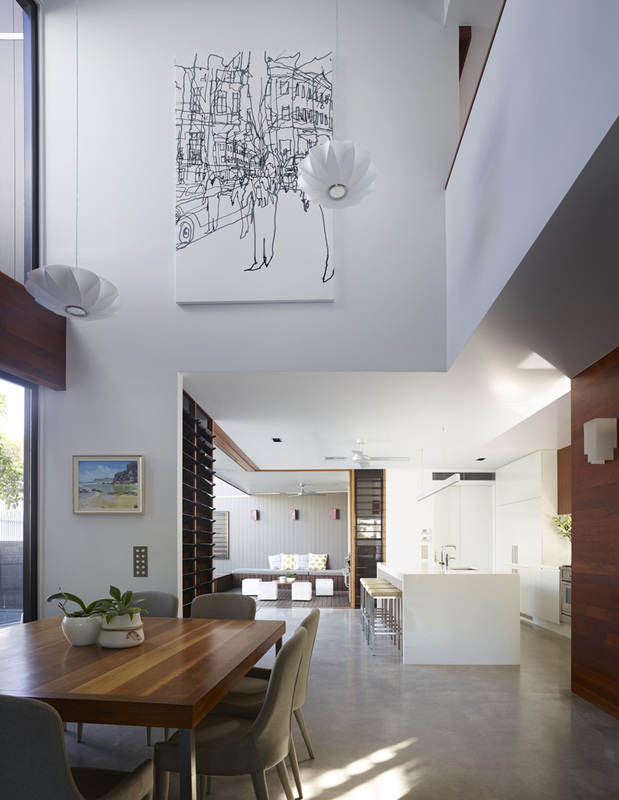 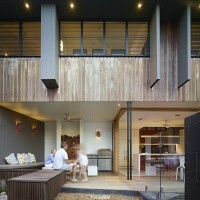 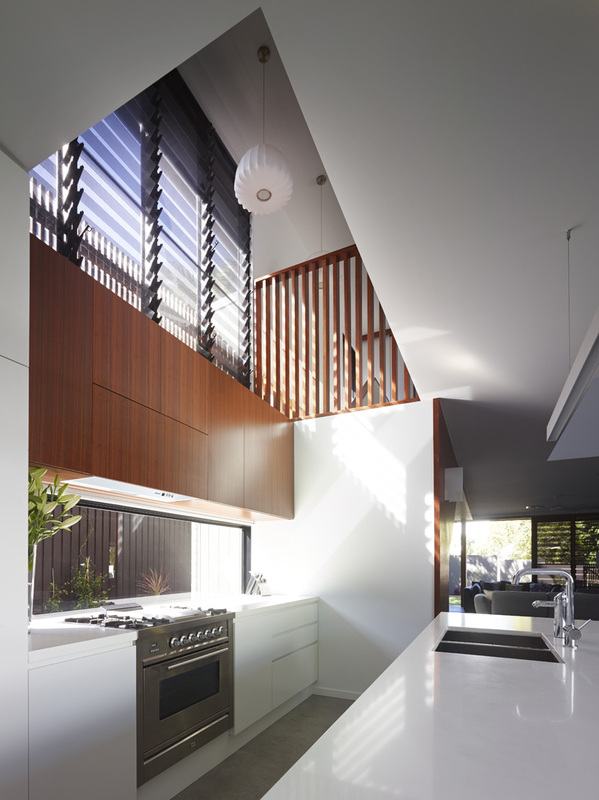 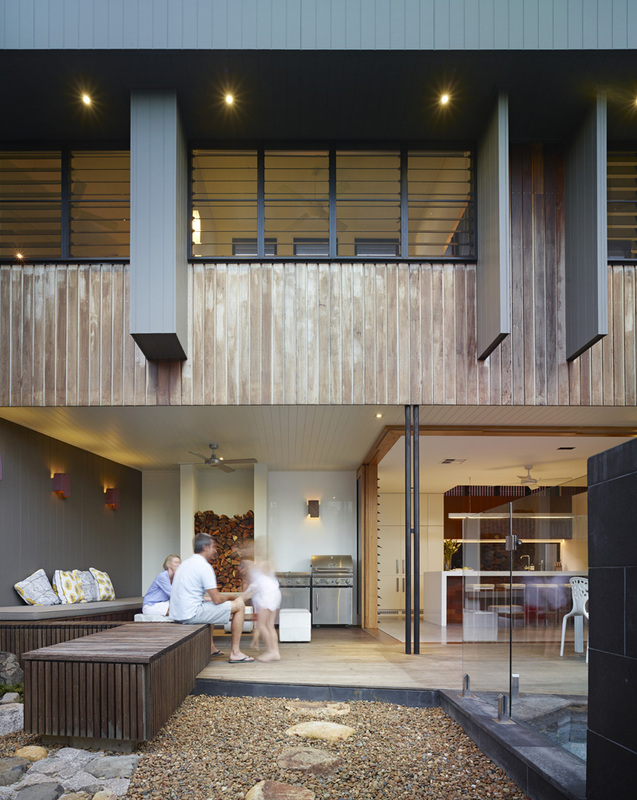 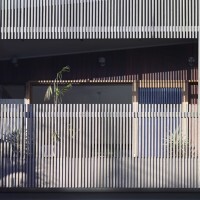 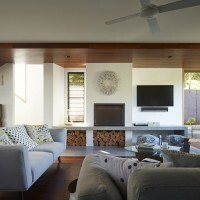 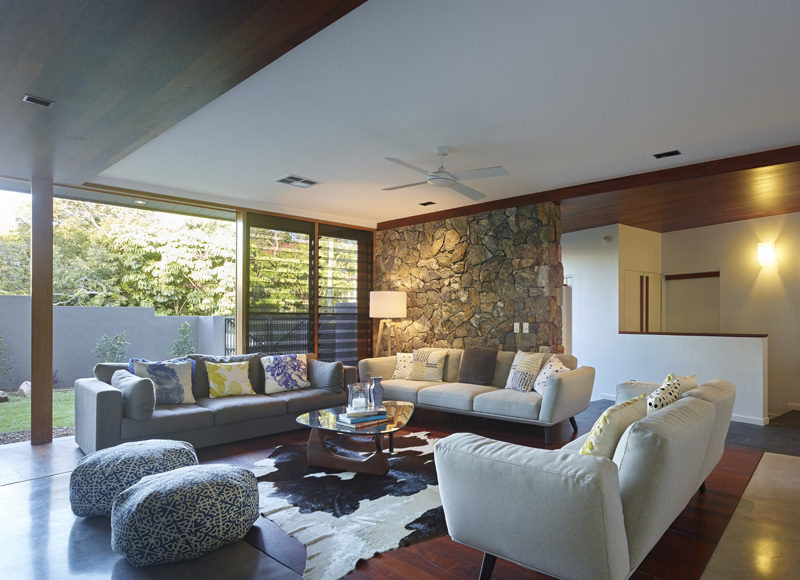 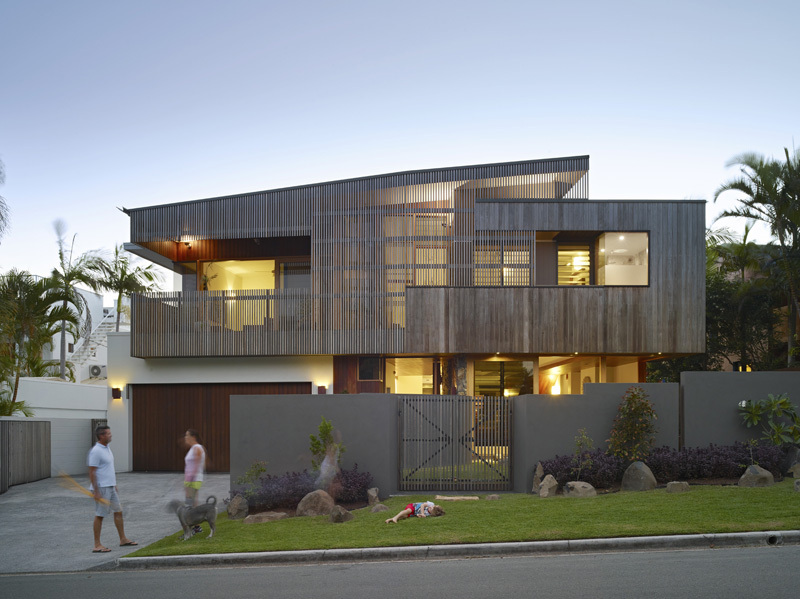 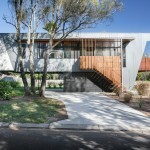 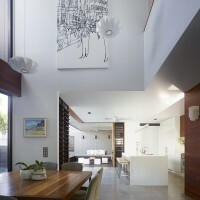 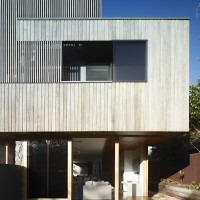 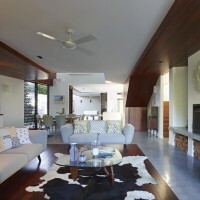 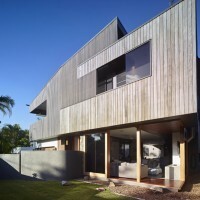 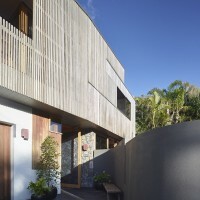 Shaun Lockyer Architects have recently completed the Sunshine Beach House in Queensland, Australia. 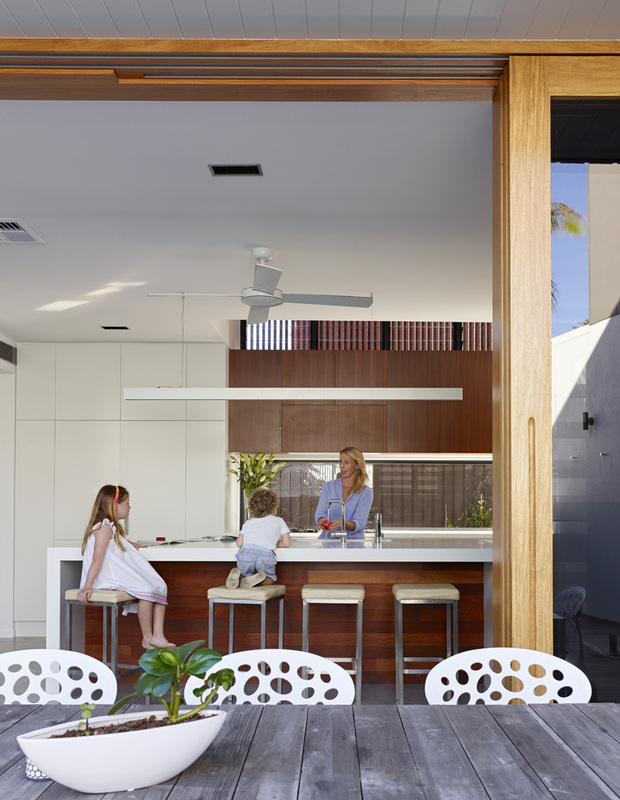 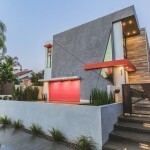 The home was designed for a builder, who built the home for his family. 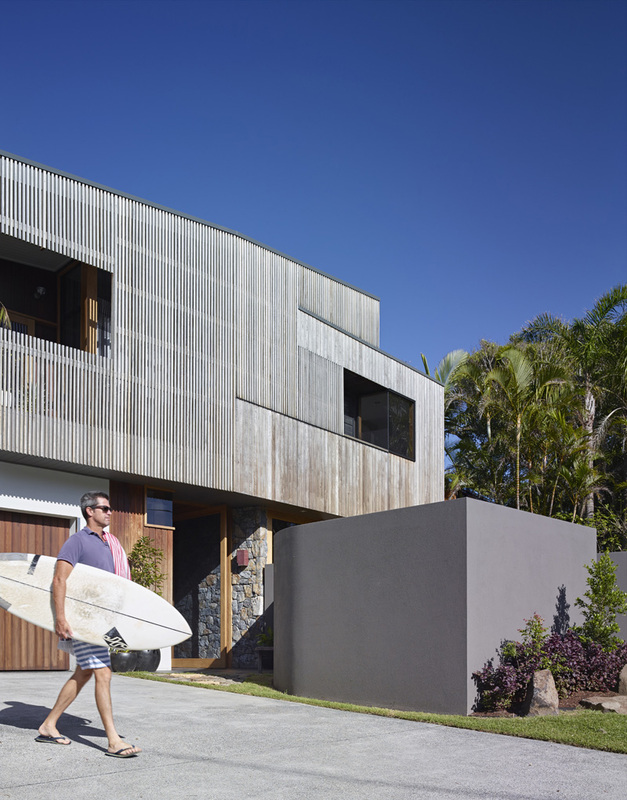 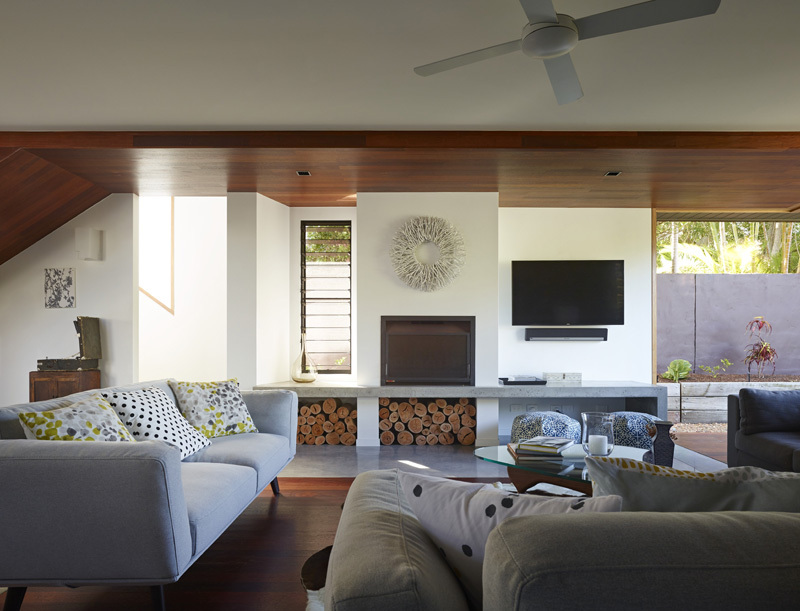 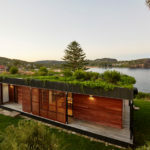 The Sunshine Beach House explores the coastal aesthetic through the use of greying timbers and natural materials in a bold, but equally eclectic, architectural expression. 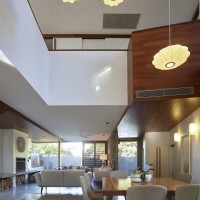 The house is planned around a sequence of courtyards (north and south) that offer a very comfortable year-round lifestyle. 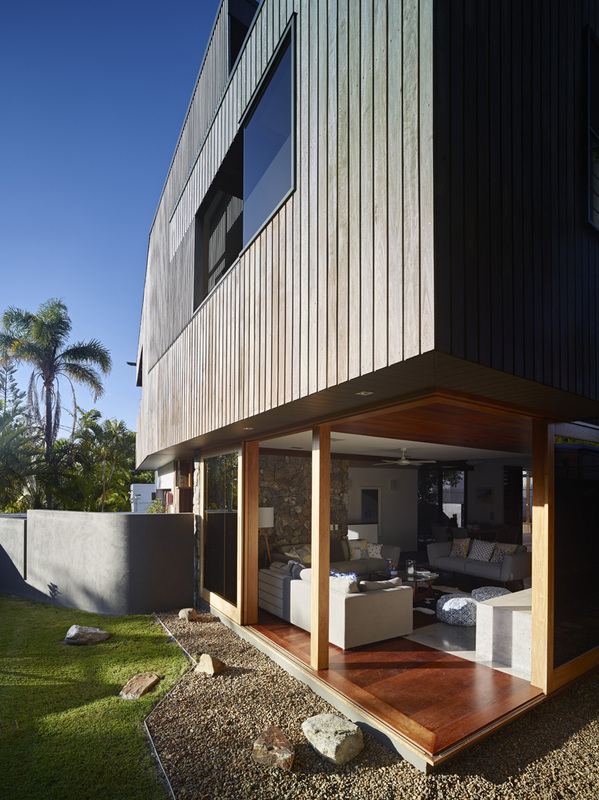 Built by Wade Jenner (who along with his wife Claire is also the owner), this project afforded us a wonderful opportunity to develop and craft ideas we’ve had for a long time with someone who trusted us enough to make them real.